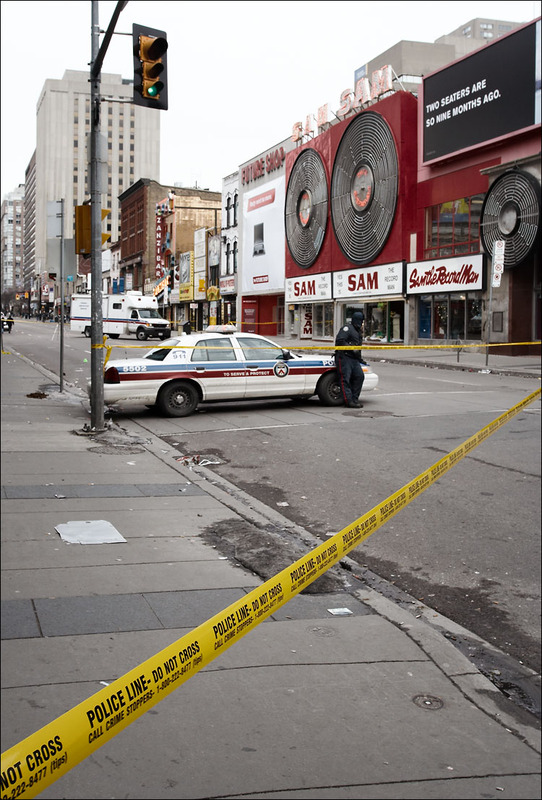 guns went off less than a block away from where we live on boxing day. a 15 year old girl was killed and six people were injured. 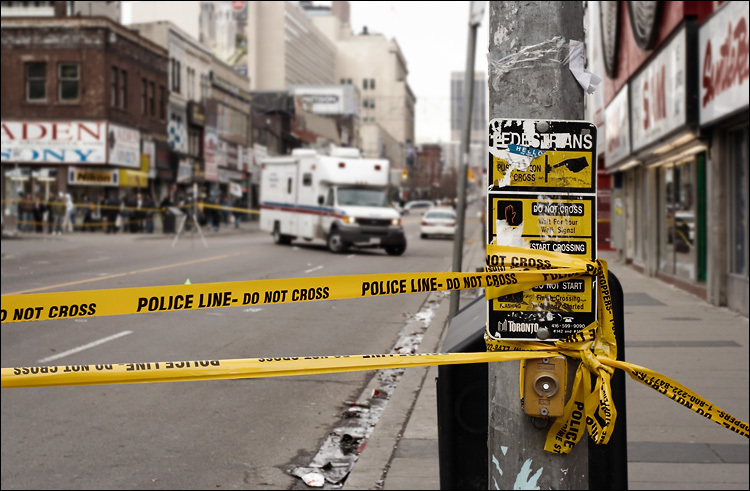 as far as I know this was the first shooting incident of this scale in toronto, and was the result of an argument between two groups of teenagers. very sad indeed.